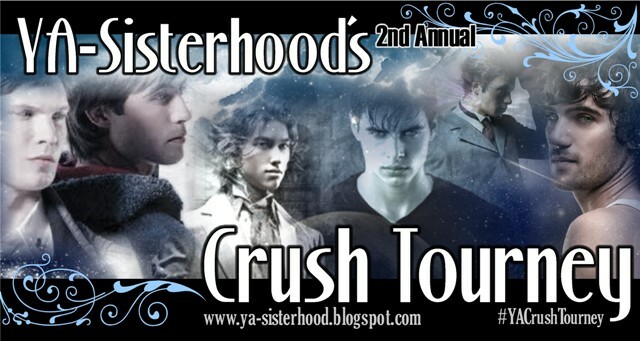 Today's the official start of the YA Sisterhood's 2nd Annual YA Crush Tourney. As you know, we're advocating for Etienne St. Clair from Stephanie Perkins' fabulous Anna and the French Kiss and Lola and the Boy Next Door. Because of this we've decided to put together a little "best of" for Etienne, to give you a little refresher as to why you fell in love with him in the first place or, for those of you who haven't read it yet, a taste of what your missing by not running out to find a copy immediately. "I look at St. Clair for help, but find him staring at me with his head tilted to the side. "'I like you,' he says. "'If you ask me to kiss you, I will,' he says. Remember to vote #TeamEtienne come July 18th. And be sure to stalk Twitter that day, we'll be giving away a little something special (okay, okay, we're giving away a copy of Anna and the French Kiss!) to one lucky Etienne supporter! I just finished Anna and the French kiss! I'm definitely voting for him, though I like Simon too lol. anyway, the christmas scenes were my favorite!! The Christmas scenes were the absolute best! Their emailing back and forth might have been my absolute favorite part! ETIENNE! *swoons* Those quotes are making me fall for him...again, if that's possible. Ahhhh Etienne St. Clair! Oh how that boy made me swoon in Anna and the French Kiss! He's gonna have some tough competition in Simon though!